Microsoft says mobile usage of its Hotmail webmail service has exploded in the past few weeks, and it has Apple to thank for it. More than 2 million users linked their Hotmail accounts to their iPhones or iPads since the launch of iOS 5 on Oct. 12, and Microsoft reports almost 100,000 new iOS 5 devices are being set up with Hotmail every day. Support for Hotmail on Apple’s gadgets has been baked in iOS for around a year now, allowing users to sync their inboxes, calendars and contacts to iPhones and iPads via Exchange Active Sync. But with the introduction of iOS 5 last month, the Hotmail linking process has been drastically simplified to three steps -- leading to a spike in iOS usage of Hotmail, which has some 360 million users overall. 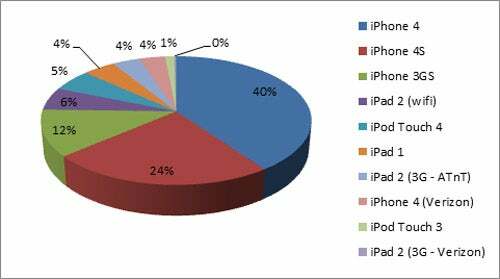 The biggest chunk of Hotmail users on iOS 5 come from smartphones, Microsoft said -- almost 80 percent in total. Forty percent of the installed base comes from an iPhone 4, 24 percent run Hotmail on an iPhone 4S, and 12 percent use it on an iPhone 3GS with iOS 5. Almost 15 percent also use Hotmail on their iPads, where the iPad 2 Wi-Fi-only model is the most popular at 6 percent. Hotmail’s bitter rival, Gmail from Google, is also pushing for further iOS adoption, and the company has launched the first official Gmail app for iPhones (Gmail is also integrated in iOS 5 Mail, and works just fine). However, Google’s first attempt was premature, to put it mildly. Shortly after the app was released, it was pulled because of a bug. The interface of Gmail’s iPhone app did not receive much praise either; it was dubbed a mere skin to the existing mobile version of the service, with the added benefit of local push notifications.